We are all thankful for that glorious meal that combines breakfast and lunch—a meal we wake up late for on the weekends. With options spanning from chicken and waffles and biscuits and gravy, to fresh salads and hot sandwiches, you’ll find something to suit your taste at Nebraska’s great brunch spots. Whether you’re waking up from a late night out, or you’re just craving a hearty, made-from-scratch meal, check out these 10 great brunch spots in Nebraska. Over Easy continuously makes the lists of best breakfast joints in Nebraska—and for good reason! This awesome brunch joint in Omaha serves made-from-scratch brunch favorites, but with a twist. Egg boats, Dutch babies, and chicken and waffles are just a few of the items you’ll find on the menu. This classic cafe in Grand Island is just the place for a brunch feast. Dig into a plate of eggs and bacon, or go for the homemade biscuits and gravy, you can’t go wrong and your stomach will thank you! Located in the heart of Midtown in Omaha, Lisa’s Radial Cafe is a brunch favorite. This no frills, classic diner-style is a well-known, neighborhood establishment. The Titanic-sized portions of breakfast foods will leave you satisfied and ready for a nap very soon afterward! Housed inside of an old fire station, the Engine House Cafe in Lincoln was built in 1900 and is now home to one of the best brunches in the state! If you’re gathering friends and family to enjoy brunch on Sunday, make sure you get here early. The menu at FarmHouse Cafe and Bakery in Omaha centers around eggs—from omelets and scrambled dishes to Benedict options and more, everything is farm fresh and delicious. Don’t miss their cinnamon rolls which are also a hit among locals. This small-town cafe in Fremont is another great brunch spot for all the homemade breakfast classics at great prices. From sweet cream pancakes to traditional biscuits and gravy, no matter what you order it’s sure to hit the spot—or be your magical hangover cure. This industrial-style bakery located in downtown Omaha bakes all of their bread fresh every day and is an excellent choice for a weekend brunch. Don’t miss the beignets which are deep-fried and stuffed with seasonal fruits, jams, and chocolate flavors. Stop in to Cultiva, a locally-owned coffee roaster and creperie in Lincoln, for their famous crepes or Johnny Cakes—a sweet cornbread pancake stacked and covered in delicious New England maple syrup. You can also build you own brunch and choose from dozens of other amazing breakfast favorites. For a nice brunch overlooking the bike trails, you won’t be disappointed at Hub Cafe in Lincoln. 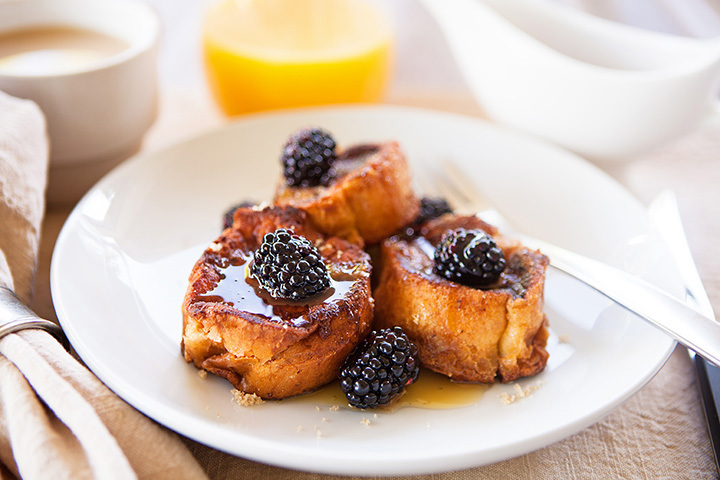 Fresh, unique dishes include pumpkin French toast, breakfast sandwiches, and breakfast bowls that can all be enjoyed with a classic Mimosa on the side.